The Giant Spheres of Costa Rica follow an intricate pattern! The spheres of Costa Rica are proof of incredible masonry skills. A study performed by the University of Pennsylvania shows that the spheres are 96% perfect. They range in size between 0.5 and 2.50 meters in diameter and are intricately placed in specific geographic locations. Most importantly, the ancient inhabitants of Costa Rica claim the spheres were not crafted by them. 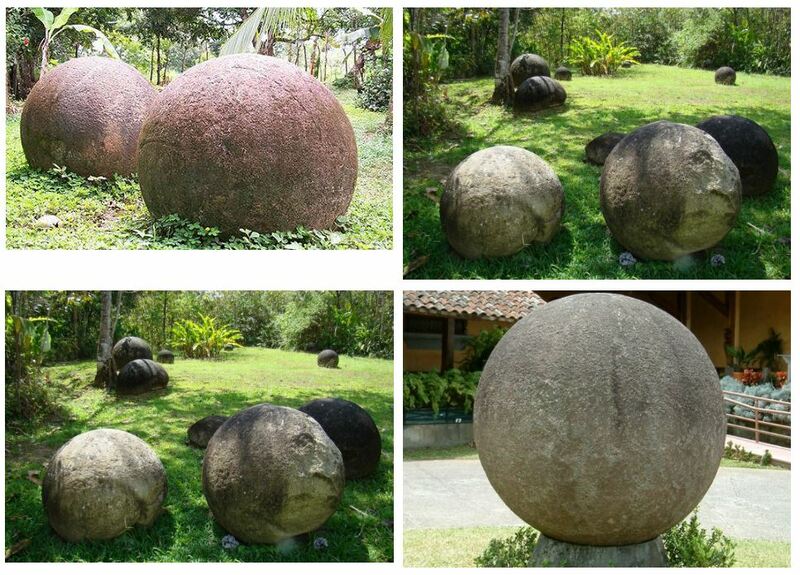 The Massive spheres located in Costa Rica are one of the greatest archaeological mysteries of the last century. Interestingly, the indigenous people who placed the spheres to their respective locations claim that they were not their builders. The natives took the spheres as a sign from the gods and considered them to be of great importance. No one knows what they are or how they were made. Interestingly, the indigenous people who placed the spheres to their respective locations claim that they were not their builders. The natives took the spheres as a sign from the gods and considered them to be of great importance. The massive spheres of Costa Rica were discovered in 1939 after an area of southern Costa Rica was cleared to plant bananas. More than 500 petrospheres of unknown origin were found, and experts were left baffled. The only thing that is known for sure is that they were placed in their sites sometime around 300 BC. The spheres are proof of incredible masonry skills and research from the University of Pennsylvania, shows that the spheres were 96% perfect. The age of the spheres is an ongoing debate, but according to many, the spheres go back between 800 and 1200 B.C.E. Some believe that the spheres are much older than researchers believe them to be. Who carved them? No one knows. What do they mean? We do not know either. So if the indigenous people of the region weren’t the ones who built these mysterious spheres, who built them? Was it an ancient civilization that inhabited the region in pre-Colombian times? Or is it possible that the ancient continent/city of Atlantis did in fact exist in South America and these spheres are proof of it? According to Bribri cosmogony, one of the largest ethnic groups in Costa Rica whose beliefs are shared by the Cabecares and other ancient tribes in America, the god of thunder Tara threw the giant stone spheres at the Serkes (gods of the winds and hurricanes), with the help of an immense blowgun in an effort to keep them off the land. Other beliefs, were that the spheres kept gold and precious stones inside, which led to the destruction of many of these spheres.